Among the various cannabis jobs commonly in demand by a wide variety of companies nationwide, the need for good budtenders tops the list. A quick review of available cannabis jobs in your area, as well as in other states, confirms this fact. Many people begin their careers in the cannabis space in this role, and if this type of work and industry in general agrees with them, they gradually work their way up to playing larger roles within their dispensaries—as a Lead, Assistant Manager, or General Manager. Gaining employment as a budtender is a great way to get your foot in the door with a company, and many people—particularly those who love cannabis—find the work very rewarding. What is expected of a trained budtender? Read further to learn more and decide if you’re a good fit for this role. Ask yourself these questions and provide honest answers: Do you consider yourself a “people person”? Do you find that conversation flows freely when you interact with friendly strangers? Do you love cannabis and enjoy talking about it? If the answer to these questions is yes, then you may have a rewarding future career as a budtender. If the answer is no to two of all of these questions, perhaps you should consider your motivation for working in this field. The key to those who achieve success and enjoy a long tenure as budtenders is a genuine desire to be on the job and assist cannabis customers. If you truly wish to work as a budtender, you will polish your skills with training while on the job. To learn more about the expectations a company has for its budtenders, the best thing to do is visit one of their dispensaries. The cannabis industry is full of companies with their own styles, processes, and procedures. Some stores reflect the laid-back stereotype many people have of cannabis consumers, while others work actively to change public perceptions about cannabis use, and require their employees to wear uniforms and present themselves in a highly professional manner. So, despite the fact that budtender work is similar regardless of location, the dress code could vary from jeans and a tie dye T-shirt to slacks and a collared shirt. Regardless of work attire, common factors separate good budtenders from others who would do better in another line of work. Research your state’s laws to determine if you require a special license or certification to work in the cannabis industry. Many states have these requirements for those who work with medical or recreational cannabis. If you will work in a segment of the industry like budtending or cultivation, or any position that puts you in regular contact with the plant, chances are you will need some sort of certification. The requirements to acquire this are typically straightforward and reasonable. Like working in liquor sales, the minimum age for budtenders in most states is 21 years. 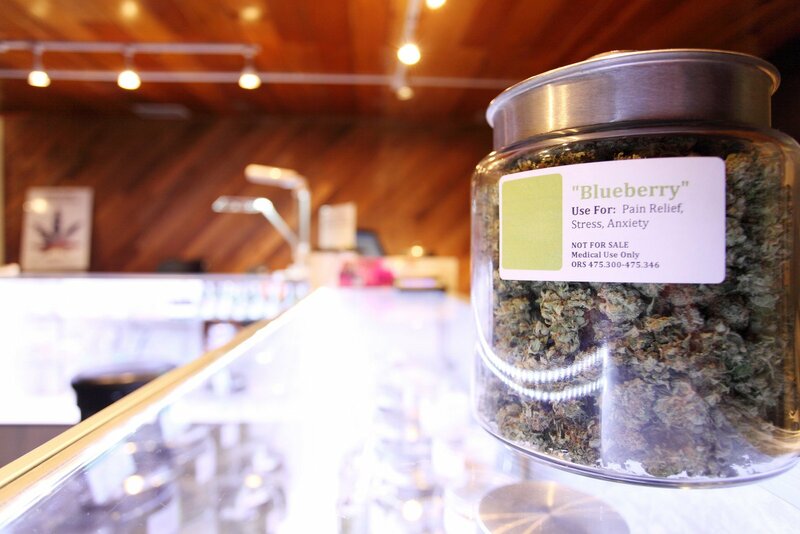 Make no mistake, being a budtender means retail sales all the way. Yes, it’s cannabis retail, but retail all the same. As one cannabis dispensary manager adamantly stated, “Turnover with budtenders can be high for people who don’t understand that this is retail, with all of the frustrations—like angry customers—that go with any other retail operation.” Because many cannabis dispensaries are very popular, with lines of people awaiting service, most budtenders are constantly on their feet attending to customers—some of whom may be impatient after their long wait for service. If you are familiar with the rigors and requirements of general retail work and enjoy it, you will most likely succeed as a budtender. The role a budtender plays with customer interaction depends largely on the dispensary where he or she works. Some budtenders merely take a customer’s order and ring up the sale. Other businesses require a more personal approach, with their budtenders required to greet customers and provide personalized service. Many of the larger cannabis companies will have off-site training protocol for their budtenders before they advance to customer interaction. Other companies take more of an on-the-job approach to training, with new employees shadowing a lead budtender to learn the ropes and familiarize themselves with how that particular facility requires its budtenders to interact with customers. Regardless of what a particular cannabis business requires of its front-liners, a solid and comprehensive knowledge of inventory will set good budtenders apart from those who are not as skilled at their jobs. In many instances, having a thorough, working knowledge of your inventory will allow you to speak intelligently with any customer who walks through the door—which always resonates positively with dispensary management. If your company grows its own flower, memorizing the strains, their potencies, and whether they are indica or sativa should be relatively easy. What is the terpene profile of each, and what type of flavor experience should a customer expect? The same goes for concentrates and edibles. Has the customer ever tried edibles? If not, some general advice about not consuming too much too fast and starting with low doses may be in order. Most medical dispensaries have a list of regular patients who generally know what they need. Retail customers can be quite different, and some may not have even tried cannabis before. It’s the budtender’s responsibility to ask a few general questions and get a feel for the situation. Engaging in friendly chitchat with customers will go a long way toward gaining their trust and creating brand loyalty, which usually translates into repeat sales and increased store traffic. Projecting a friendly attitude and offering a ready smile at work is something to strive for every day. Greet each customer and introduce yourself when you first meet. Then engage them in conversation, inquiring about what they came in to purchase. You will most likely be able to determine rather quickly if the customer is a veteran consumer or someone new to cannabis. You may find that those who are very familiar with marijuana have an “I already know it all” attitude, and they may have a dismissive vibe when interacting with you (if you fall into this category yourself, never try to flaunt your superior knowledge with a customer and be condescending). You will most likely find that meeting this type of customer is somewhat common while on the job, so don’t take it personally. If the strains you sell are generally available on the market, most likely these customers already know them. Gage whether or not they want to talk, but always be available to answer questions if they arise. Based on what a customer buys, always ask questions that may lead to opportunities for cross-selling or upselling. For instance, if the customer is buying New York City Diesel or inquires if you have it in stock, provide recommendations for any other strains you may have in the diesel/chem family, especially if your company has a proprietary strain that falls into this category not known by the general public. If a customer is buying flower or concentrates and you’re having a special on glass and/or dab rigs, ask if one of these items may interest them. Perhaps they may need papers. Let them know you carry a wide range of smoking or vaping products. Lastly, don’t be intimidated by starting a new job as a budtender. It’s not rocket science, but it does require a willingness to learn and train to be the best you can be.